The greatest Philippines Pools are located primarily in major cities, but it's also easy to find public pools in rural locations. Please have a look at the pools swimmers like you have reported near Philippines. Please, report any Philippines Swimming Pool not listed here. There are generally discounts available to senior citizens and small children for independent swim. 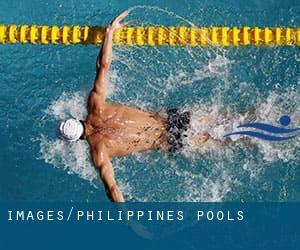 Discover by contacting your nearest pool among these Philippines Pools. Please use the contact details provided at each pool profile to check if they are offering aquagym lessons, considering that isn't so prevalent to see an Aquagym in Philippines. Do you know of any Pools in Philippines that needs to be listed here? Contact us!. Swimming is really a sport for all ages. It helps young people to tone their muscles and grow healthful and strong. For the elderly, there's no superior way to exercise than finding a Philippines Swimming Pool to escape from every day routine. Enjoy the best indoor pools in Philippines and don't worry about the weather. These facilities are open all seasons and you can enjoy a swim at the same temperature every day of the year. There are several reasons why you need to choose a heated swimming pool in Philippines. Essentially the most important one relies on the importance of keeping the body temperature stable. If the water is too cold, your body will try to warm it up and you will shed strength to swim properly. One of the advantages of outdoor swimming in Philippines will be the possibility to sunbathe during the summer time season. Taking it with extra care, sunbathing is healthy because introduces Vitamin D into the body, so the most effective option seems to be switching among indoor and outdoor pools based on the season. Swimming is a excellent idea to help keep your body active in the course of your visit to Budta (Philippines), or even if you are a local. Swimia assists you to find your closest Pool in Budta. Let us tell you a secret to switch off while you're in Manila: just opt for a Swimming Pool in Manila and plunge into the water! There's no more beneficial technique. It's difficult to visit Philippines without dropping by Quezon City (with 2.761.720 residents). At present Swimia is showing you all the Swimming Pool in Quezon City along with the closest pools situated in its vicinity. Without a shadow of a doubt, swimming in Malingao will be the finest way to unwind after work. Take a couple of minutes to browse Swimia's catalog to find a Swimming Pool in Malingao. Holding an estimated population of 1.212.504, Davao is one of the most important cities in Philippines. Check all the Swimming Pool in Davao and its surrounding area. Whereas Cebu City is among the six most populous cities in Philippines with nearly 798.634 residents, you shouldn't miss that one if you're going to Philippines. Updated on 2019 Augustin 1 Building , Mercaco Avenue , Pasig City , National Capital Region (Postal Code: 1603). Among all the activities supplied by the center, should you be thinking about swimming you might enjoy Olympic size x 20 meters, 10 lanes, 4 feet - 8 feet depth, Outdoors. Just in case you need to make contact with this Swimming Pool just before dropping by, we only know the phone number. Updated on 2019 E. Rodriguez Sr. Boulevard , Quezon City , National Capital Region (Postal Code: Unknown). This sports center offers 25 meters x 20 meters, 8 lanes, Outdoors. For this Swimming Pool, only phone number is number here. Updated on 2019 JP Rizal Extension , West Rembo , Makati City , National Capital Region (Postal Code: 1215). This sports center offers Olympic size x 21 meters, 8 lanes, 5 feet depth, Outdoors. For this Swimming Pool, only phone number is number here. Updated on 2019 Pablo Ocampo (formerly Vito Cruz) St. , Malate , Manila , National Capital Region (Postal Code: 1004). Among all the activities offered by the center, in case you are enthusiastic about swimming you'll delight in Olympic size x 20 meters, 4 feet - 8 feet depth, Outdoors. Just in case you need to contact this Swimming Pool before dropping by, we only know the phone number. Updated on 2019 Corner of Ayala and Makati Avenues , Makati City , National Capital Region (Postal Code: 1226). Swimmers like you reported 23 meters x 9.5 meters, Outdoors. Unfortunately we do not have the email address of this Swimming Pool, but we can give you the phone number. Updated on 2019 Makati Avenue , Makati City , National Capital Region (Postal Code: 1226). This sports center gives 25 yards+/-, Outdoors. For this Swimming Pool, only phone number is number here. Santa Rita St. , Subic Bay Freeport Zone , Olongapo City , Zambales (Postal Code: Unknown). Swimmers like you reported 23 meters x 15 meters, 5 lanes, 4 feet - 10 feet depth, Outdoors. Unfortunately we do not have the e-mail address of this Pool, but we can give you the phone number. Updated on 2019 1144 Gen Luna Street , Pasig City , National Capital Region (Postal Code: 1000). This sports center provides Olympic size x 20 meters, 4 feet - 9 feet depth, Outdoors. For this Pool, only phone number is number here. Updated on 2019 Sumulong Highway corner McDonald´s Avenue , Marikina City , National Capital Region (Postal Code: Unknown). This sports center offers Olympic size x 25 meters, 9 lanes, 4 feet - 5 feet depth, Indoor/Outdoor. For this Swimming Pool, only phone number is number here. Alwana Business Park , Cugman , Cagayan de Oro , Misamis Oriental (Postal Code: 9000). Among all the activities offered by the center, in case you are enthusiastic about swimming you are going to get pleasure from 25 meters x 12 meters, 4 lanes, 4 feet - 5 feet depth, Outdoors. Just in case you want to contact this Swimming Pool before dropping by, we only know the phone number. 113-1117 San Marcelino St. , Ermita , Manila , National Capital Region (Postal Code: 1000). This sports center delivers 25 meters, 6 lanes, Indoors. For this Pool, only phone number is number here. Zeppelin Street , Hensonville , Balibago , Angeles City , Pampanga . Among all of the activities offered by the center, if you are interested in swimming you will take pleasure in 25 meters, Outdoors. Just in case you want to contact this Pool prior to dropping by, we only know the phone number. 1175 UN Avenue , Ermita , Manila , National Capital Region (Postal Code: Unknown). Among all the activities supplied by the center, if you are considering swimming you may take pleasure in Olympic size x 20 meters, 4 feet - 12 feet depth, Outdoors. Just in case you want to contact this Pool before dropping by, we only know the phone number. Updated on 2019 64 Xavier St. , Greenhills , San Juan City , National Capital Region (Postal Code: Unknown). Among all the activities provided by the center, for anyone who is interested in swimming you will appreciate 25 meters x 15 meters, 8 lanes, Outdoors. MacArthur Highway Km. 87, Dau , Mabalacat , Angeles City , Pampanga . Among all of the activities offered by the center, if you are considering swimming you will take pleasure in 25 meters, 6 lanes, Outdoors. Just in case you wish to contact this Swimming Pool before dropping by, we only know the phone number.